I have been wanting to write an article/blog on CSG (Coal Seam Gas) now for a very long time, but I have been putting it off for several reasons. One, I am not a technical person, being predominantly right brained and I find writing about technical issues a bit boring. CSG should not be a boring subject in as much as this is the one thing that will bring down the planet. At first bringing it to its knees and then when it is too late to rectify the damage, life will slowly cease to exist. Gloomy isn’t it? The other reason has been that it is pretty useless preaching to the converted. People who are genuinely worried about CSG already know the dangers of fugitive emissions and destruction of the aquifers. On the other side are those that are for CSG mining and nothing I say here will change their view point on the subject as they will have a vested interest in it somehow. So why am I writing now about CSG? My conscience is telling me I have to, whether anyone reads what I have to say or not. Even if I am abused for it, or people pass it over as boring and “not my problem”. I am obligated to write about it and the danger it imposes. Being the person I am, I am not going to get into a whole technical debate over it. Being a Gnostic, the DANGER of CSG is glaring, obvious and inexcusable. However it is going ahead at a tremendous rate. It has been in Queensland, Australia for 15 years, but the public has only been made aware of it over the past 2 to 3 years. I have on my desk piles of literature on CSG and still wading through it. My brain keeps getting frazzled from both reading all the technical terms and the knowledge it is imparting. For instance I am still digesting the process of submissions on PSPAPP55 and weighting. 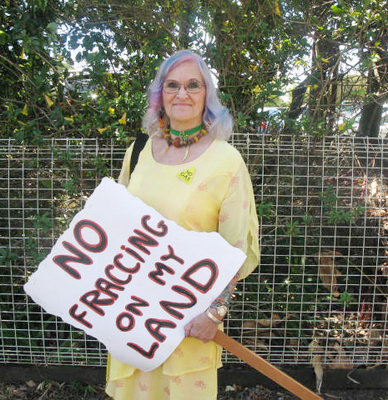 There is 97% opposition to CSG mining in my area, that is the Tweed Shire. The Lismore Shire conducted its own survey and they got 87% oppose. Between 4 and 6 thousand people turned up to Murwillumbah on 13th of October this year 2012 for a rally against CSG. The procession snaked around the entire town and almost everyone wore yellow. This is huge for a small country town. Vast areas of Australia are already covered by CSG mining leases for exploration. It is going on in almost every major country of the world. I was speaking to a man working in the industry and he told me that the aquifers in Australia are already poisoned beyond repair. The mining and resources industry accounts for about 7% of GDP in Australia, probably similar in the US and other countries. This is comparable to the manufacturing sector; however, manufacturing employs five (5) times more people than mining. Most left brain thinking men plus the left brain thinking Gina Rinehart (supposedly the richest woman in the world) thought the resources boom was good for Australia; but in fact it has been damaging by raising the dollar causing high input costs to farmers, high labour costs which is hurting agriculture, manufacturing and tourism, plus limiting exports. The impact on land and agricultural farmland is massive. I own 245 acres, but I am mainly forested. However I have coal on it, visible on many of the tracks. I have lived here for 33 years, 2 years off half my life. To think that a mining company such as Santos can come onto my property and build wells and offices and degrade my organic property and subject me to deafening noise 24/7 is outrageous, terrifying and inexpiable. There is the dust factor, greenhouse gas emissions and loss of pure ground waters to consider. My nice neighbours rely on bore water. It is pure and they drink it, they are health conscious people. Then after 7 to 8 years, they clear out leaving a toxic waste dump. There is no legal protection from these uncaring, inconsiderate and reckless CSG mining companies. Fraccing is the extraction of unconventional gas (methane) from coal seams, shale rocks and sandstone, otherwise known as hydraulic fracturing. Large volumes of ‘produced’ water must be removed for this process to enable the gas to flow. To this is added sand and chemicals which is blasted into the rock to crack them, so releasing the gas. Between 20 to 80% of this mixture containing dangerous chemicals is returned to the surface. Not only that, it is thought to have caused earthquakes in the US and UK. The compounds in the chemicals are hazardous to human and animal health. Only 2 out of 23 commonly used chemicals have been assessed safe by the Australian National Industrial Chemicals Notification & Assessment Scheme, NICNAS. It is debatable that CSG mining is cleaner than coal mining. Unconventional gas is a fossil fuel. If fugitive emission can be measured adequately and responsibly, it may just be found to be even worse. I’m saying “NO” to CSG mining until it is deemed safe and mined responsibly for all concerned. Much of this information came from Lock the Gate. All my gates have Lock the Gate signs on them. Love the picture. If the right brain predominates then one will have not sense of time. Yes you are absolutely right about the legal issue. Not many people know these people can just come onto your land and do what they want. Thanks for bringing it to our attention. Murray, predominate merely means in this case,leaning to the right. All the tests I took were 21 questions. I answered 10 with the left brain and 11 with the right. I say that I am predominately right brained. I use the left all the time. I doubt anyone can use the left or right every moment of every day. Even a musician has to use the left in order to read music. And a scientist probably uses the right to appreciate good food. I specifically used 'predominately' to infer that more of that side is being used than the other.